How the heck did I post 66 new treats in 2010?? As you can see the number has consistently dropped each year since. The reason? Life. Just life as a working mom with 3 kids (now twins are 11 and big kid is 14). 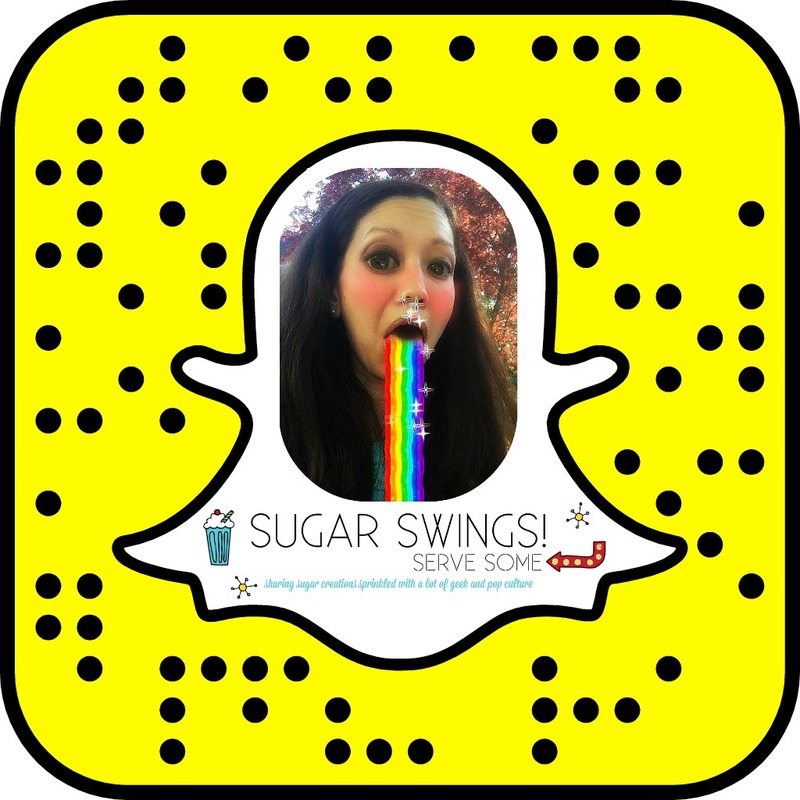 I love baking and thinking up new treats but it has taken a backseat for sure this year. I do still make stuff but many times I don't have the time or energy for pics and blog posts. 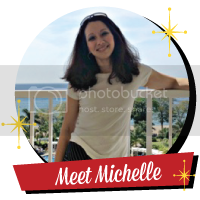 I tend to take the easy way out and post a quick pic to Instagram and my Facebook page. But that said when I do have time and want to share something new, I do like to set aside some me time for that. Like these mini apple rose tarts! I've seen them on Pinterest a lot and they've been on my to do list forever! Plus I love apples and cinnamon so these are one of my fav flavors. Start with some apples. 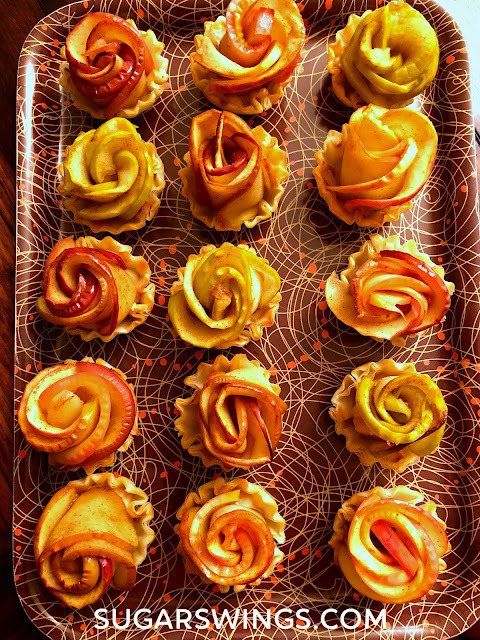 I used a bunch of different types - really to try to get different colors in the final tarts. Cut in half, remove seeds/core, and slice thinly. I just used a knife to slice thinly but you could also use a mandolin if you have one handy. Add 1/4 cup of honey and 1 teaspoon of good cinnamon to a microwave safe bowl and heat for 1 minute. 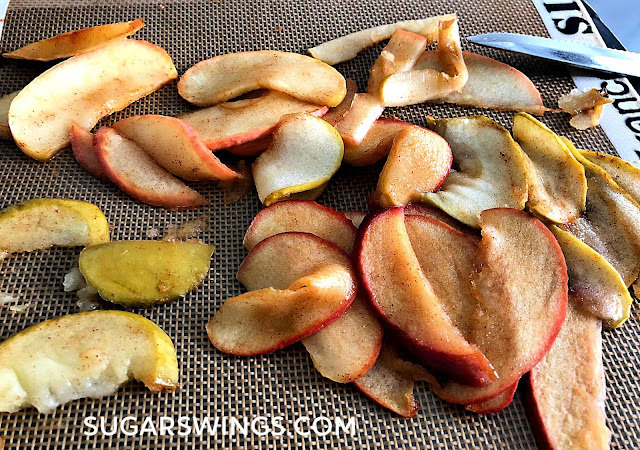 Brush mixture over outside of apples and bake at 400 degrees for about 15 minutes (until apples are soft but not mushy). You can even microwave the apples to really speed up the time. I used store bought tart shells. 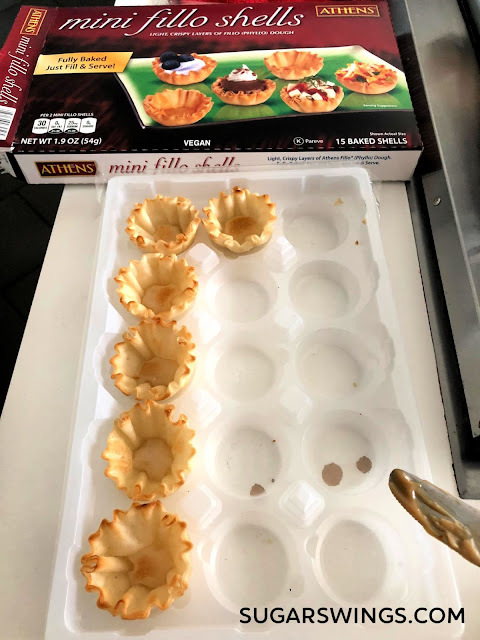 They are small and easy to work with and really speeds the process of making these little tarts. 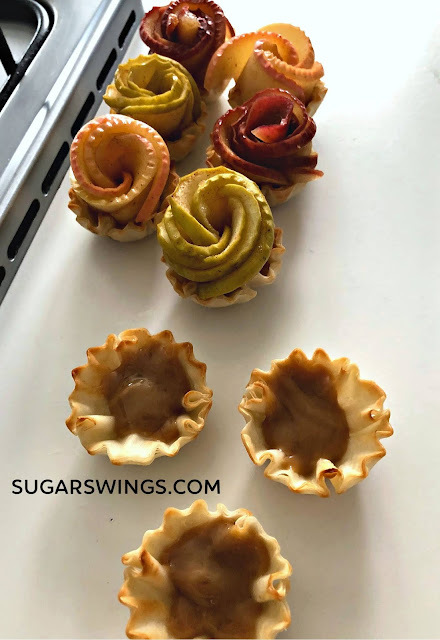 To hold the apples in I filled the tarts with a mixture of melted caramel chips and a little cream cheese. 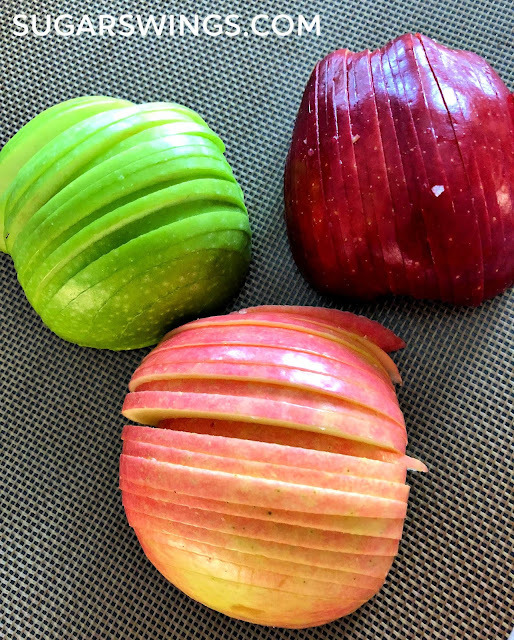 Place the apples lengthwise overlapping slightly and roll into rose shape. 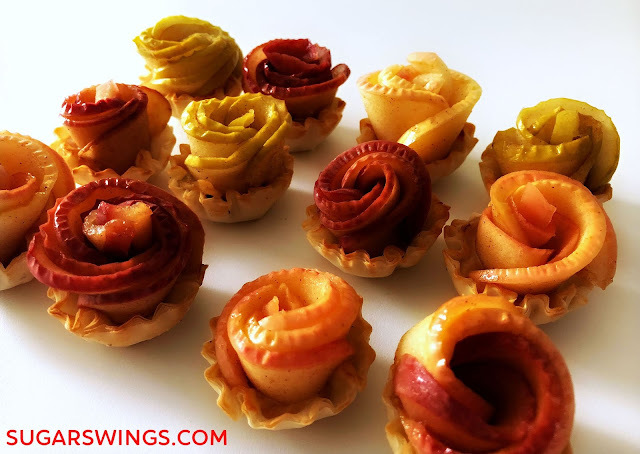 The video above shows how to roll the apples (I left out the puff pastry as I wanted smaller, tighter roses. Add the rolled roses to the shells and that's pretty much it. 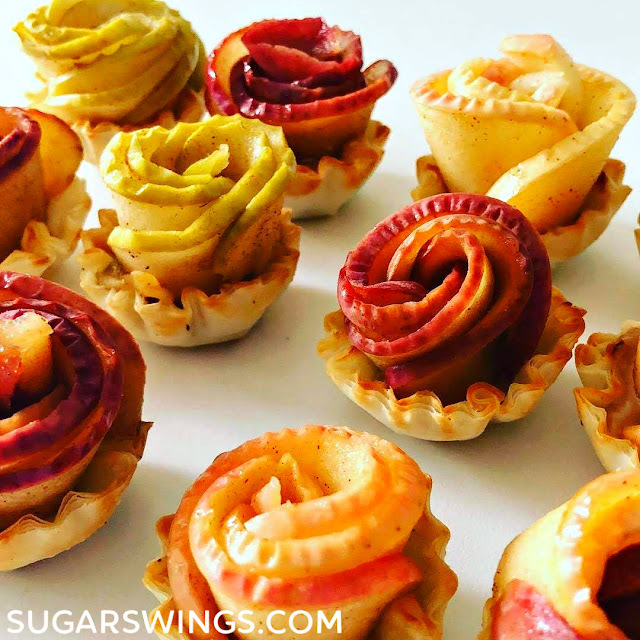 If you use pre-made shells you can have a bunch of these mini apple rose tarts made in about 30 mins! 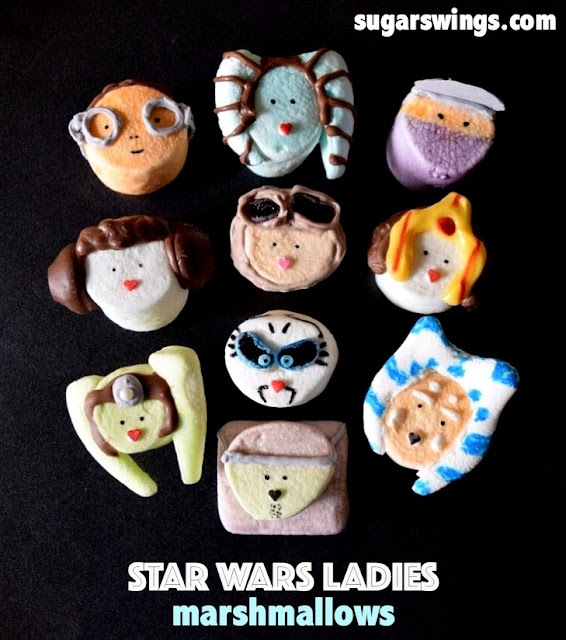 Super cute and yummy and it looks like you spent a lot of time putting a tray of these together. 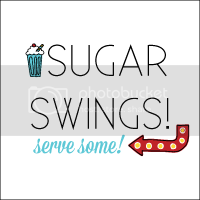 I plan on making more for some holiday parties coming up! Another reason right now for lack of posts is we are renovating our kitchen! Currently cooking and baking is happening either in a toaster oven, microwave, electric burner or crock pot! 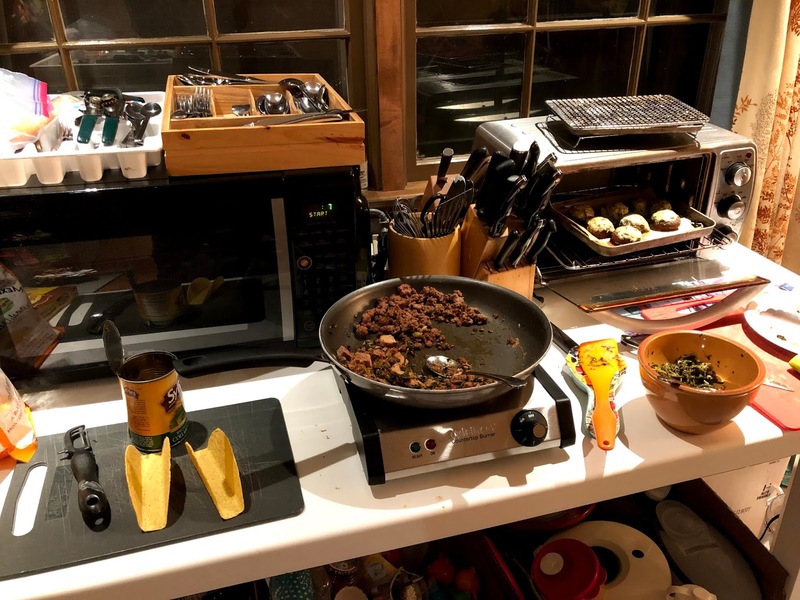 Here's our current kitchen set up! Wish me luck and here's to hoping 2019 gets back on track treat wise! For apple roses: Pre-heat oven to 400 degrees. Cut apples in half and remove core/seeds. Slice thinly and evenly. Mix honey and cinnamon in microwave safe bowl and heat for 1-2 mins until thin. Brush over outside of apples. For filling: Add caramel chips to microwave safe bowl and heat for 3 minutes or until chips are melted. Add cream cheese to bowl and mix well. Add about 1 teaspoonful to each tart shell. 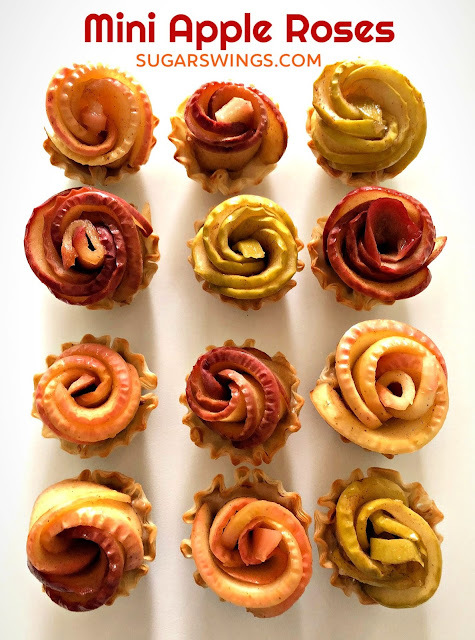 Add one apple rose to each filled tart shell. Serve at room temperature or store in refrigerator until serving.